Phoenix — The Arizona Department of Transportation (ADOT) is adding drones to help its engineering staff safely and more efficiently inspect hard-to-reach areas on some bridges and perform surveying work along state highways. Through a federal innovative technology grant, ADOT has eight new aerial drones that will be part of the agency’s mission to enhance safety and efficiency while shortening highway project delivery time. The grant to fund the drones is from the Federal Highway Administration-sponsored Arizona Council for Transportation Innovation program. “We are committed to building a culture of innovation at ADOT to improve the safety and reliability of a statewide transportation system that millions of people depend on every day,” ADOT Director John Halikowski said. The drones provide ADOT with an important tool for maintaining safe bridges. “State highway bridge inspections will still be done by our inspectors, but as an example, a drone can help our teams safely get video or photos of places that are difficult to see,” said David Eberhart, ADOT state bridge engineer. The drones will go into service later this year, after selected ADOT employees go through training in order to be certified as drone pilots. In addition to the eight new drones, ADOT has already been using one drone since last year for a variety of purposes, including surveying a section of State Route 88 northeast of Apache Junction damaged by storm runoff last year. Drone video gathered by ADOT’s Engineering Surveys Section assisted agency staff in preparing for a repair project last fall. 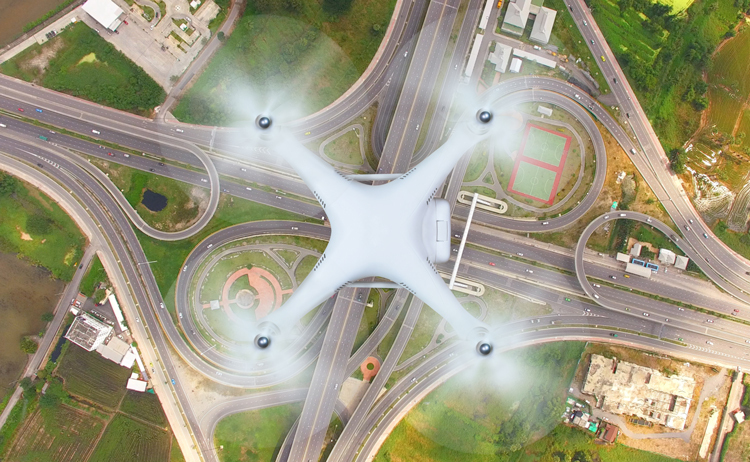 The Arizona Council for Transportation Innovation this spring approved the use of $18,100 in federal funds and $4,525 in state matching funds for the new ADOT drones. The council was formed in 2012 as part of a Federal Highway Administration program to implement innovative and efficient investments in transportation infrastructure.